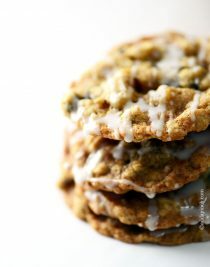 Oatmeal cookies immediately make me think of comforting, cozy afternoons at home, especially these delicious iced ones. Growing up, oatmeal cookies were one of my mother’s specialties. It seemed like she could have a plate of warm oatmeal cookies ready at the blink of an eye whenever we needed a little bit of extra time with her. I guess that’s why they remind me so much of cozy afternoons reading or just talking with Mama. 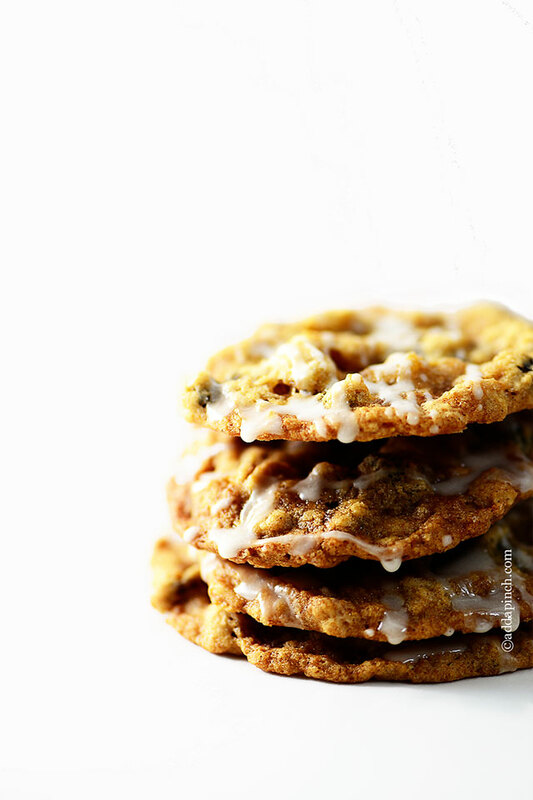 Periodically, she’d add an extra special touch of drizzling cookie icing over the top of her oatmeal cookies and then, all was right with the world. Her cookies soothed whatever ailed ya and cheered on whatever achievements you’d made. Now, don’t get me wrong, iced oatmeal cookies will never be flashy or fancy like decorated cookies or even my Grandmother’s Divinity. That’s just not the role that I have in mind for an oatmeal cookie. 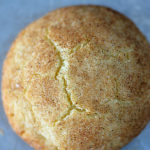 They are; however, the cookie I like to turn to when I think of home and growing up where my biggest care in the world was getting home in time in the afternoons to watch The Brady Bunch. Oddly enough, even then I was more interested in what Alice had going on than in what Marcia’s dress looked like. Heh. Here’s my Iced Oatmeal Cookies recipe. I hope you love ’em. 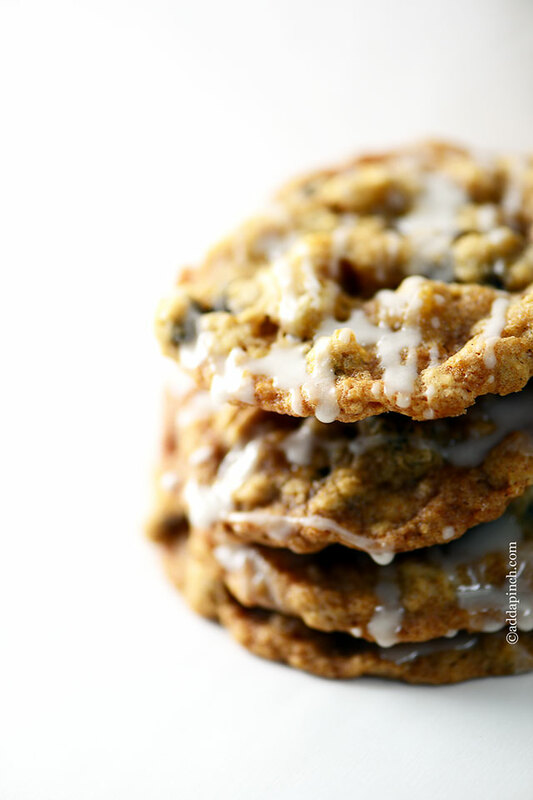 Oatmeal cookies make a favorite cookie recipe throughout the year. 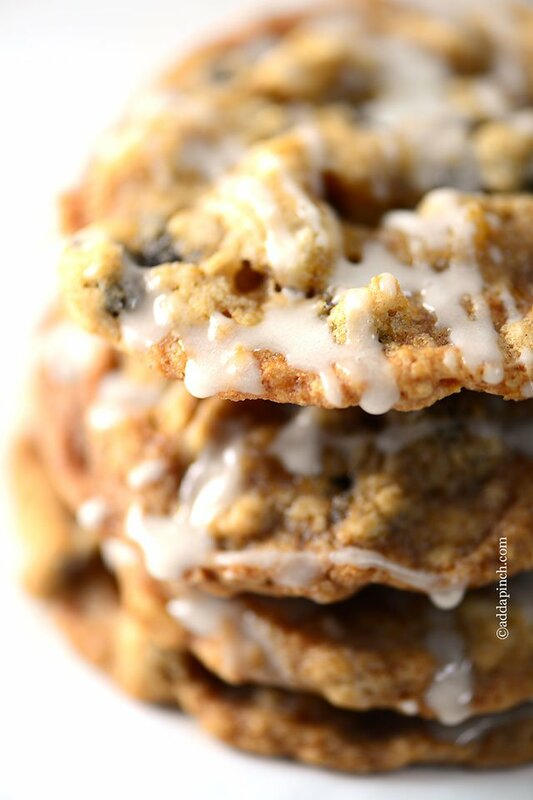 These iced oatmeal cookies will quickly become a go-to recipe. Preheat oven to 350º F. Prepare baking sheets by lining with parchment paper or silicon baking mats. Set aside. 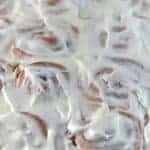 Cream together butter, shortening and brown sugar until light and fluffy, about 3 minutes. Mix in egg, milk, and vanilla on low speed until well-combined. Whisk together flour, baking soda, salt, cinnamon, and nutmeg in a small bowl. 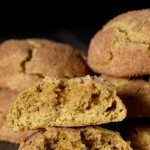 Slowly incorporate into butter and sugar mixture until well-combined. Stir in oats, raisins and walnuts. 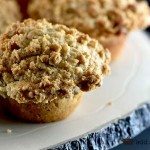 Drop by the tablespoon onto prepared baking sheets. Bake between 12-15 minutes, until lightly golden brown and set. Remove from oven and allow to cool on pans for about 2 minutes before removing to a wire rack to cool completely. The icing recipe ??? Is not there. Is it just powdered sugar and milk? I need these—about 3 dozen may do. I can smell the goodness now! They look delicious. No, definitely not you or your computer, Nancy. I think I need a nap before I do anything else today!! Ha Ha! I never clicked SAVE! So sorry. Yes, the cookie icing is my normal cookie icing of confectioner’s sugar, milk, and vanilla. 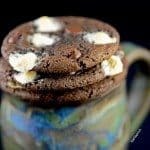 I do thin it a bit more for these cookies. Sorry about that Latryce. I have it all included for you now. You are right, it is my confectioner’s sugar, milk and vanilla cookie icing recipe thinned a bit more. Woo Hoo!!!!!!!!!!!! it’s there!!!!!!!!!! Hahaha. Don’t take much to get us all happy and excited huh?!!! Happy day to you my dear. I LOVE iced oatmeal cookies! These look perfect. Pinning! i so love them i could eat them everyday thanks! 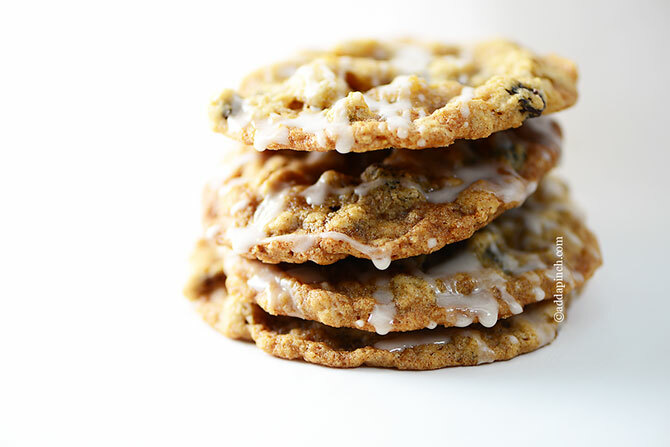 Iced oatmeal cookies! Were can I sing up for a few dozen! Robyn I’ve been eying these all day!! They look amazing! Your oatmeal cookies still look yummy. Oatmeal cookies are so homey and comforting! Thanks for sharing this recipe Robyn. 22 mins and I will be in oatmeal heaven . I can smell it now! 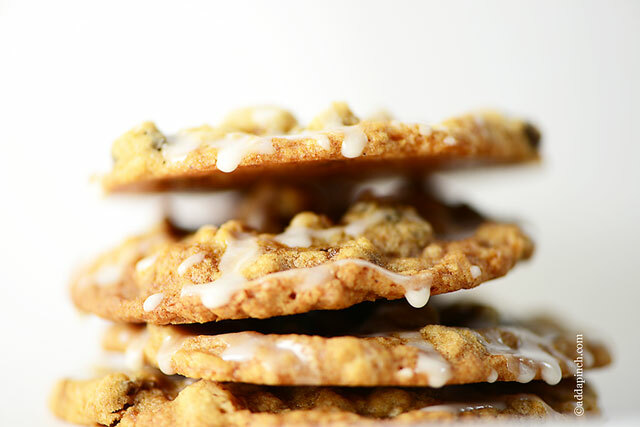 Simple iced oatmeal cookies are my forgotten favorite, Robyn! These look amazing! 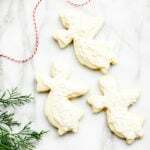 I made these last weekend for a family cookie exchange, and everyone loved them.